I had a substantial piece of baby pink two-way stretch knit that I bought because it was really cheap and it’s quite hard to find the two-way stretch. I dyed it blue, and made a Nettie bodysuit from Closet Case Files. I won’t go on too much about this bodysuit, as I’ve already blogged my red leopard Nettie and a grey one. I am wearing this one for Me-Made-May, and it’s the perfect weather to wear it – wet and cool. There is something very comforting about a bodysuit. They seem to keep me warmer than a regular t-shirt, and they are fabulous as layering pieces. Just to show a contrast in weather, here are some photos of Mark last weekend wearing new jeans. He is also a candidate for a MMM entry as he is wearing jeans, shirt (now very old) and socks all made by me – we won’t discuss the hat! The pattern is Kwik Sew 3504, a pattern I’ve made many times, so you would think I’d get the length right, wouldn’t you? These are a bit long, but I made them in absentia and this was the first time that Mark had tried them on. He wasn’t too bothered, and they might look better with shoes rather than runners, although I will revisit the hem at some point in the near future. In a nutshell: Nettie bodysuit made with two-way stretch knit from Knitwit. 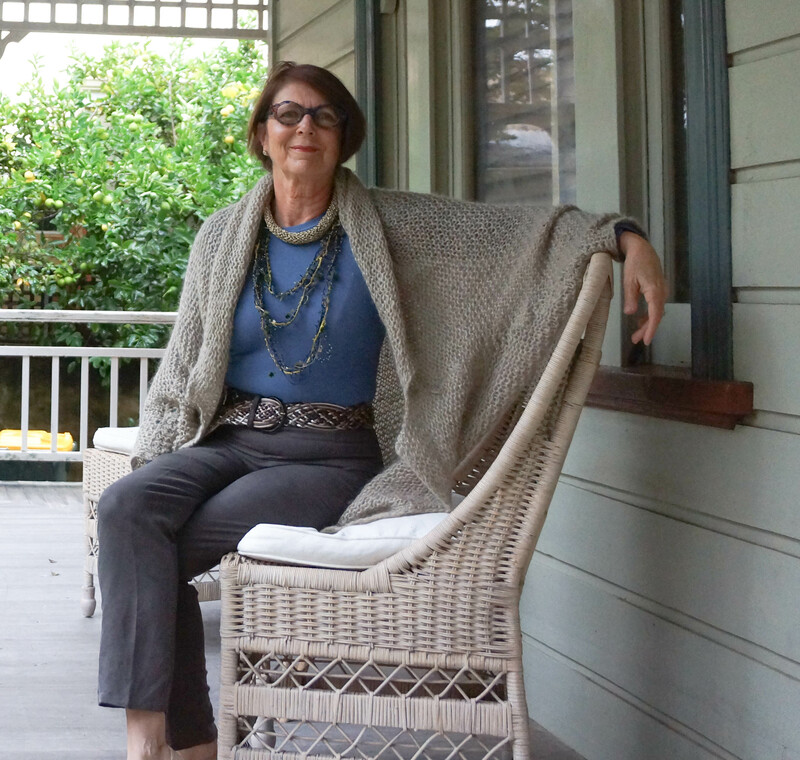 Worn here with Ultimate Trousers, and Tammer Shrug, pattern and wool from Dairing, Melbourne, necklaces are made by me, but sadly the belt is not. Mark’s jeans are Kwik Sew 3504, black stretch denim is from E M Greenfield, Sydney. What caught my eyes in your outfit is the perfect harmony of smooth tones. The shrug looks so cosy and perfect that, for a very short moment, I almost had a tender thought for winter. Mark’s shirt is awsome. Hard to believe you made all this (although I know it’s true!). You could make a spring version of this shrug, Hélène, I have one and it is awesome for trans-seasonal weather. Sounds good, I particularly like the cup of tea bit! I still am amazed you make such nice clothes for your husband. I once made two shirts and then a jacket for my husband, then I got all wrapped up in making my own things he went back to store bought. Good for you! That makes sense. And everyone has a fussy one in the family! Lovely outfit Sue. Love the shrug and very impressed with your dyeing skills. Mark is very fortunate to have you sewing for him too. Perfect fit on the bodysuit, Sue. Love it and the jeans you made Mark. On the weekend I was wishing I had a bodysuit pattern and Voila!… your blog produced one on Monday morning. I have just purchased it online. Your blog is very helpful and you are so resourceful!!! Thank you for all the info and insights. That colour blue looks amazing on you Sue – see I always said you should wear more blue! The jeans look great on Mark. I am sure your dam is full now on the property after all the rain we have had. Lovely combination of pieces and the bodysuit is such a lovely colour of blue. Mark looks very smart in his new jeans. 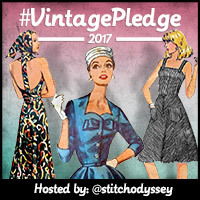 Previous Post By George, I have finally finished my 1940s dress!